With a run of 5:44.72, Travis Pastrana shattered the course record at this past weekend’s Climb to the Clouds event up New Hampshire’s Mount Washington. Pastrana best his teammate David Higgins, who previously held the course record of 6:09.09, which he set in 2014. An impressive 24 seconds were shaved off the original time. 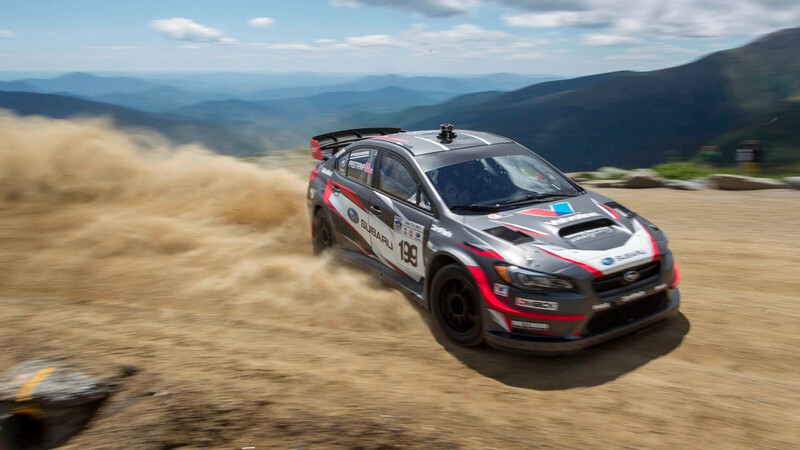 Pastrana was behind the wheel of a specially-prepared Subaru WRX STI rally car built by Vermont SportsCar. The four-cylinder turbocharged Subaru Boxer engine was tuned to produce 600 horsepower (447 kilowatts) in this application. The video above shows the run in full. Dissimilar to years past, Pastrana was not allowed a co-driver during his record run, making it that much more impressive. "We’re exceptionally proud of our team’s new record at this iconic race event," Subaru Motorsports Marketing Manager Rob Weir said in an interview with Motorsport. "To defend and beat our old record took massive commitment from the team and especially our drivers. We put a production-based WRX STI on the top of the podium even against purpose-built hillclimb machines." Unfortunately Higgins crashed out of the race early, but he did manage to set a trap speed of 116 miles per hour in the process. Higgins and Pastrana were reportedly just seconds separated during practice. Even though Higgins fell short of success, the former record holder celebrated his teammate's accomplishment after the race. "I’m really happy for [Travis] and the job the team has done." First run in 1904, the 7.6-mile (12-kilometer) Mt. Washington road course is one of America’s oldest motorsports events. A mix of gravel and tarmac, the course winds its way up to the 6,288-foot summit of the tallest peak in the northeastern U.S.